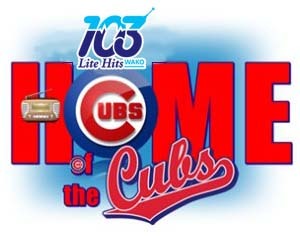 The Chicago Cubs lost 2-1 in 17 innings Friday night to the Miami Marlins in game 2 of their four game series. Miguel Rojas was the hero for Miami as his hit in the bottom of the 17th scored Brian Anderson with the winning run. Kris Bryant homered for the only Cubs run. Eddie Butler took the loss in relief for the Cubs. He is 0-1. Game three is Saturday night and you can hear the action on Lite 103 WAKO with the pregame at 5:35 Central Time 6:35 Eastern.